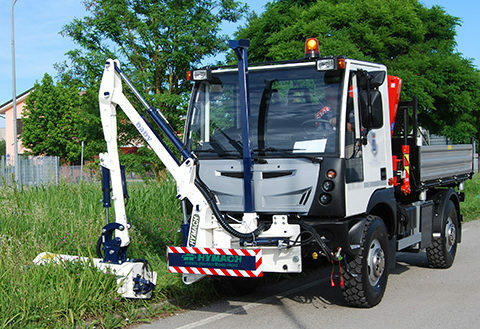 Bush cutters designed to be mounted on trucks on the front mounting plate or on the trailer using a custom built hook lift coupling frame. 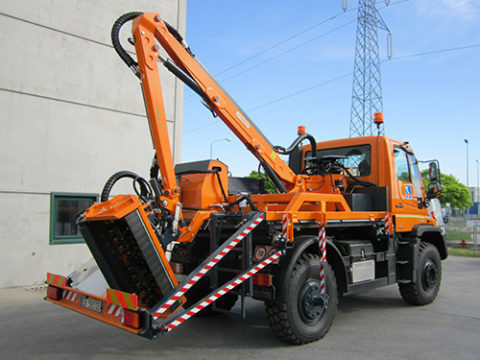 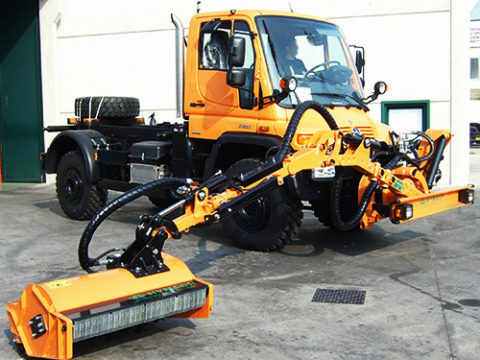 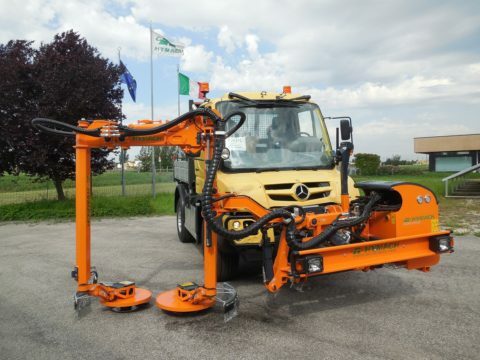 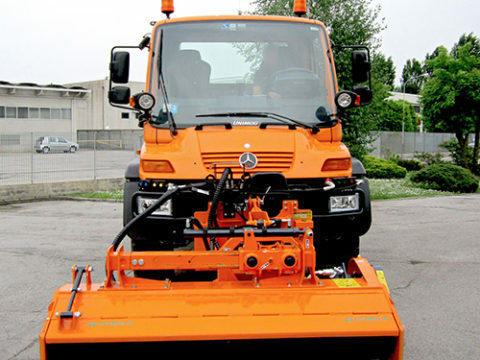 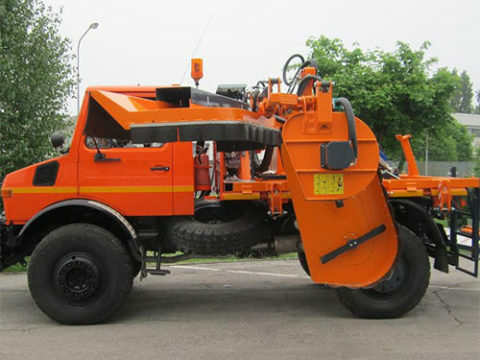 Developed from our apparatus for tractors, it is possible to adapt any type of equipment for trucks, providing they are suitable: bush cutter arms with cutting head, vacuum bush cutters, over-the-row bush cutters, hedge trimmers. 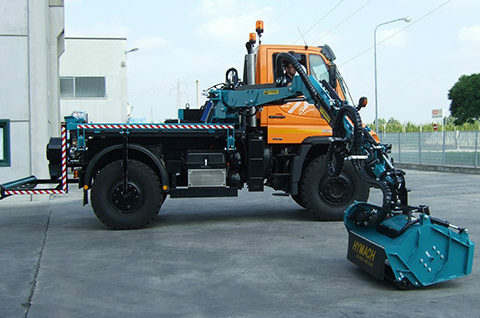 There is a variety of choice of cutting heads for the different types of vegetation and condition of the ground, which guarantees the continuity and uniformity of cut.